On Wednesday May 4, Directors UK published a study looking into the low representation of women directors working in film. 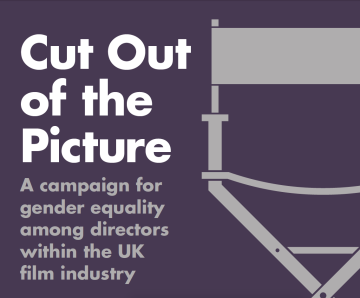 The study entitled Cut Out Of The Picture: A study into Gender Inequality Amongst Directors within the UK Film Industry, was written by Stephen Follows. The initial aim of this study was to identify the root causes as to why women directors are consistently disadvantaged when trying to become a director and in progressing their careers in the UK film industry. The findings provide the industry with new insight and understanding into what is causing this gender disparity – examining industry culture, budgets, genres, critics, audience, public funding, career progression. The study has helped us to formulate a number of recommendations that we believe would, if implemented, bring about industry-wide change. These include calling for 50% of films backed by UK-based public funding bodies to be directed by women by 2020; a review of the Film Tax Relief cultural test rules to take account of diversity (gender); and an industry wide campaign to ensure gender equality.